December is the time for mince pies and it's hard to find gluten free ones anywhere. So there was only one choice, and that was to make them. It is a lot of work and worth making a big batch and freezing them. Pastry can be made in large batches and frozen which saves some time. The pastry was made from rice, corn and potato flour and it holds together better than most gluten free pastry. 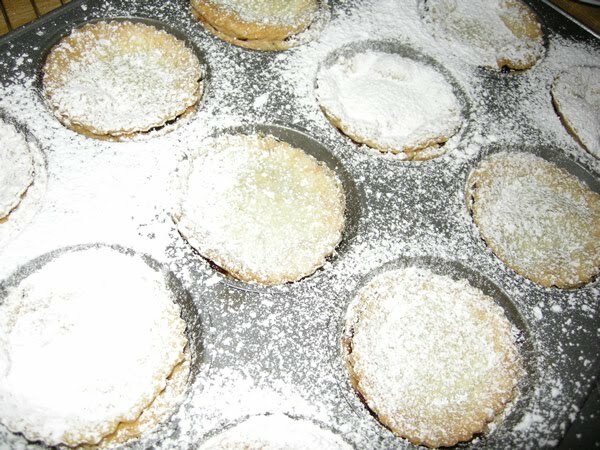 They are filled with Vegetarian mincemeat and topped with icing (confectioners) sugar. The result was really good, deceptively light and really delicious. Even a wheat eater would enjoy them. The only downside is the slight grittiness of the white rice flour, I'm still trying to source a finer ground flour.